Diamonds in Dystopia is a live-streaming poetry web app that explores how interactive, mobile technology can be harnessed to benefit the presentation and experience of the literary arts. This performance enhancing web app can also be a multimedia visual and sound installation. We will perform and discuss creative data mining. 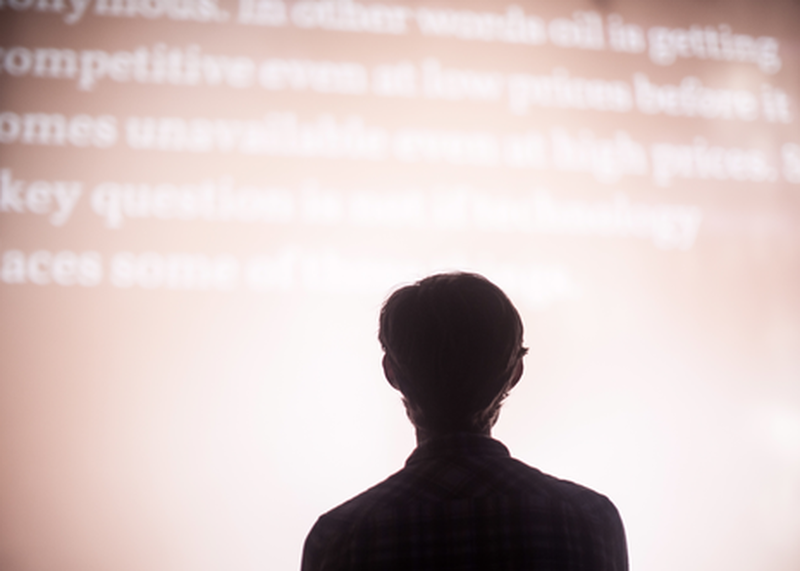 The audience sends word selections by tapping them on their mobiles to trigger Markov chain reactions (of +2500 TED talks as a found text), enabling succinct recombination of massive amounts of language as source material for improvisation--giving new insight to poetry in the post-human world and reaching a level of audience interactivity previously impossible.